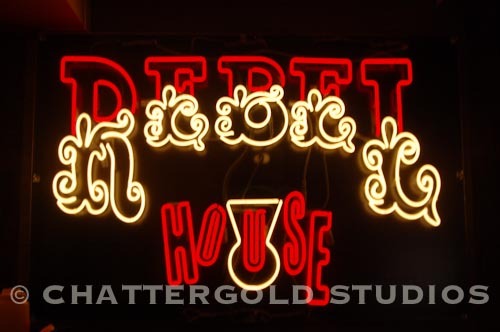 The Rebel House in Boca is Open for Easter Sunday Brunch- Hallelujah! 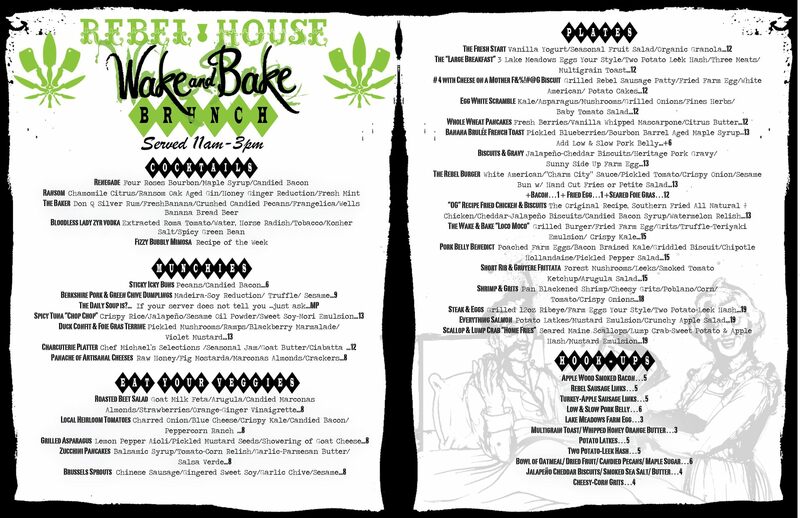 My favorite restaurant in Boca, The Rebel House, will be serving brunch this Sunday for the first time with a menu they are calling “Wake and Bake” brunch. Appropriate on so many levels for South Florida . “The Wake and Bake Loco Moto”-grilled burger, fried farm egg, grits, truffle teriyaki emulsion and crispy kale. “The Pork Belly Benedict” -poached farm eggs, bacon braised kale, griddled biscuit, chipolte hollandaise, and pickled pepper salad. Short Rib Gruyere Frittata– forest mushrooms, leeks, smoked tomato catsup, and arugla salad. Of course they have shrimp and grits, steak and eggs, and healthy options like egg white scramble as well as fruit on yogurt for the “safe eaters” in your party. Then again, everything I’ve ever eaten there is delicious so every choice is safe. Make reservations if you can right now. I live about one hundred feet away from the restaurant and can assure you they will be completely booked if not already. They always are. And do yourself a favor… plan out what you want to eat ahead of time. It will take a while to decide because you’ll want to try everything. I know I will. You can find their downloadable menu on their facebook page. Posted on March 28, 2013 by triciachatter. This entry was posted in Places and tagged boca raton, brunch, easter brunch, rebel house, south florida restaurants, the rebel house. Bookmark the permalink. This sounds delicious! I love the restaurant name as well as brunch items. Very creative. What are you going to have? They are delicious! I’ve been there for dinner many times and their drinks are just as creative as the food. I’m contemplating the pork belly benedict but the burger is sounding soooo good. I may finagle my husband into the burger. Shouldn’t be hard. That way I can have a bite!